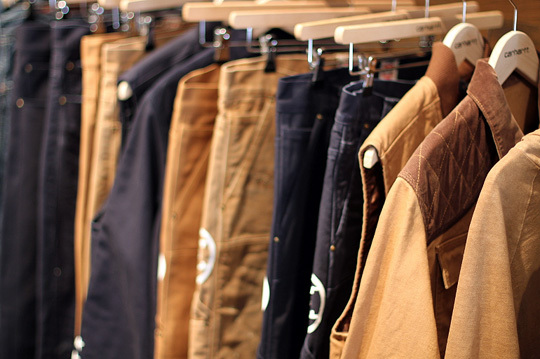 Another highlight from Pitti was a first look at the upcoming collaboration between Carhartt and uniform experiment. The collection consists of jackets, vests and mostly pants in all sorts of varieties and colors, all featuring both the â€˜UEâ€™ logo print and a star print. We expect a release for Spring/Summer 2012, but have to re-confirm that.